After my trusty Polar FT4 heart rate monitor died (it was 6 years old and had been used daily), it was time to invest in a new one. I use a heart rate monitor in both my own training and with my personal training clients, so I wanted I wanted to make sure I was buying a decent bit of kit. It needed to double as both my day-to-day watch and training aid, so the screen had to be big and clear (try looking at a tiny screen on a bike or whilst out running). The build quality had to be good. I wear it all the time – training, swimming, cycling etc. It had to be robust. The heart rate monitor watch had to be user-friendly. I’m not techy, nor did I want to be faffing around through dozens of options any time I wanted to record my training. It had to sync with the kit I use in the gym (Life Fitness mostly). It had to be waterproof – I couldn’t risk it being damaged by the inevitable rain whilst out on the bike. It had to be accurate – I don’t want both my own data and that of my personal training clients to be out. No FitBit – screen too small and there are serious questions over their accuracy. No Garmin – didn’t sync with some of the gym kit I used. No Polar Loop – screen too small. At this point, I wasn’t really thinking about the app support as I assumed they’d all have a decent app to back them up. I knew about the Polar Flow app, so that gave the Polar range a bit of an advantage, but it certainly didn’t seal the deal on its own. Next up, I considered the training data I wanted to record. When it comes to fitness, I’m a generalist so specific data wasn’t that important to me, nor is the GPS in modern heart rate monitors – most routes I run or ride will be varied, so like-for-like data isn’t really that important to me. It’s a nice extra, but it wasn’t a deal breaker. I wanted to record my heart rate, my calorie burn and my averages, then have somewhere to store this data. When all of the above points were considered, I settled on the Polar M400 heart rate monitor…. 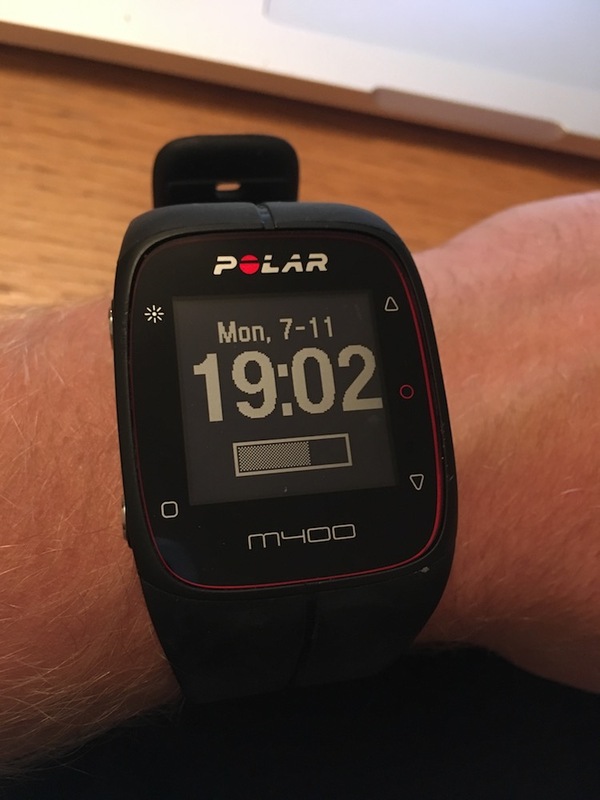 There are other reliable heart rate monitors, but having considered everything I needed it for I opted to go with the Polar M400 and I absolutely LOVE it. It’s been used daily, inside and outside and has been great. I’ve monitored my training, synced it with the Polar Flow App and kept an eye on my data! The fitness tracker apps (My Fitness Pal, Map My Ride etc) are MILES OUT when it comes to estimating calories burned during exercise. I mean like, by a couple of hundred percent. Seriously. Your muscular fatigue and heart rate don’t always match up. 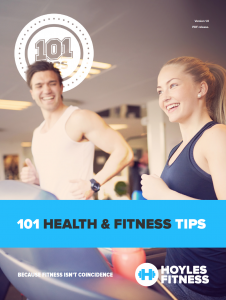 You can be feeling COOKED from a heavy set of an exercise, without much heart rate response. Likewise, you can be working at a manageable place during your cardio but your heart rate will be elevated. Having that level of accountability during your workout will keep you on track and working. As soon as I see my heart rate dip, it’s back to work I go. It moves your sessions from good to great! It’s easy to stay sedentary when you are working at a desk. The Polar M400 has a built in activity monitor which sends you a reminder to move if you’ve been sat down for too long! I promise this isn’t a sales pitch for Polar, it’s really not. I have just started using this bit of kit in my training and think it’s real-world usability is fantastic and is something I’d encourage you all to look into. If you are serious about making significant strides in your fitness, you could do a lot worse than invest in a tracking device. There are plenty of other features, but in all honesty I use the ones that come to me easily. If I was a runner then I’d probably use some of the GPS features in more detail, but those features listed above are the ones I find the most benefit from. The Polar Flow app has been a bit of a revelation and allows me to keep track of the workout data, providing it in an easy-to-access format, plus removes the need for the watch itself to store the workout data. 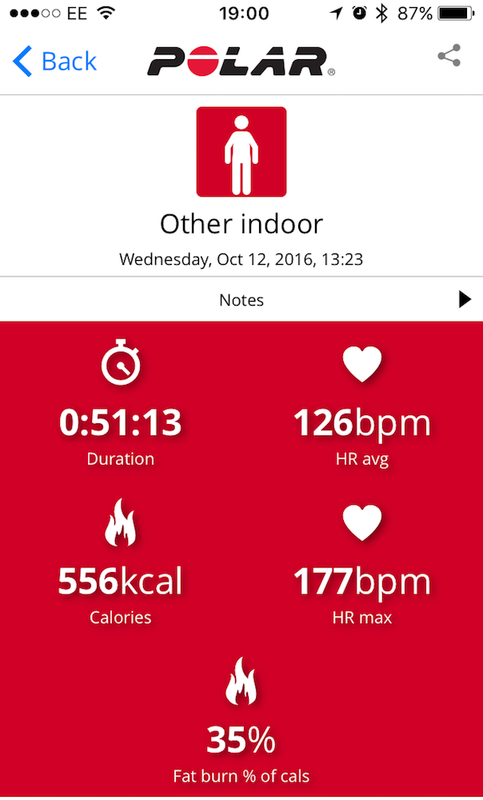 The workout data display on the app is clear, concise and really usable. I’ve been critical of many fitness apps in the past, but this one works pretty well and I use it most days in some capacity or other. There isn’t really an effective stop watch. That’s no problem when you are using it yourself, but it makes like a tad more difficult for me when I am personal training, especially when we are working to a time rather than a rep range. There’s a way around it (using the clock face) but it’s a feature I’d like to see on the M400. It’s chargeable. This isn’t a negative really, given it’s easy to charge but if you were to ever forget to charge your watch you could end up caught out. It charges via a USB cable, which I just plug into my laptop. All of the charging cables come with the watch as standard. My Polar M400 review can be summarised by saying it’s a well-built watch and heart rate monitor. It suits my requirements, has great support from the app. Overall, I’d really recommend it.